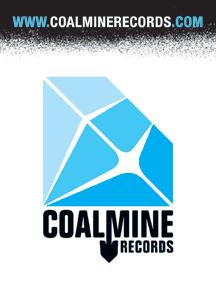 BlackRadioIsBack.com New Music: Coalmine Records | BlackRadioIsBack.com - Official Blog of the Syndicated FuseBox Radio Broadcast! 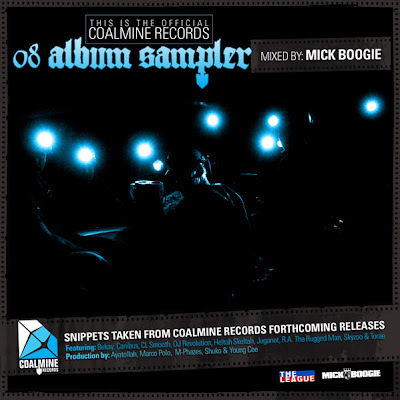 We here at the BlackRadioIsBack.com and syndicated FuseBox Radio Broadcast family have a sampler of upcoming releases from the up and coming independent Hip-Hop label, Coalmine Records, mixed by DJ Mick Boogie for folks to check out, download and enjoy. Since being founded by DJ Dutchmaster in the summer of 2004 with the single release of "The Raw" (featuring the production of DJ Dutchmaster and Hip-Hop MCs Saigon, Inspectah Deck of Wu-Tang Clan & Bekay, the first officially signed artist to Coalmine Records), they've been putting out solid 12" singles on the masses. Some of tracks on this label sampler, along with some older releases, are going to be released as a digital EP, A-Sides From The Archives, on May 6, 2008 while other will be releases as singles in the near future.